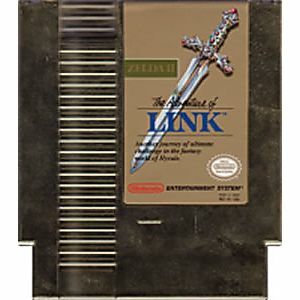 Zelda II 2 - Adventures of Link original NES Nintendo Game cartridge only - Cleaned Tested and Guaranteed to Work! 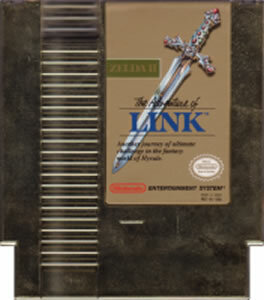 This is a staple in any NES collection, especially if you're a Zelda fan. This is a challenging game but is worth the time! Great gameplay and even better graphics for its time. Amazing game, amazing condition, fast shipping! Nothing else to say! Gold cart in perfect shape and the battery save works! I will be playing this with the power glove! Very happy! Game works no problem at all. Lots of fun! So great to finally play this game again- the way it was meant to be played. Love this game, and love lukie games for there fast shipping and service. Game came fast and in great condition. Brings back so many memories. Lukie has become my one stop online shop for classic games and refurbished systems. I've been disappointed in the quality from other sites, but Lukie delivers quality every time. Works perfectly fine. Only thing is that the paint on the cartridge that I got is a little eroded. I like it though because it makes it look more antique. Bought for my Mom for Christmas and she loves it! Her second favorite game next to Zelda! So nice this game was!